Happy Monday!! 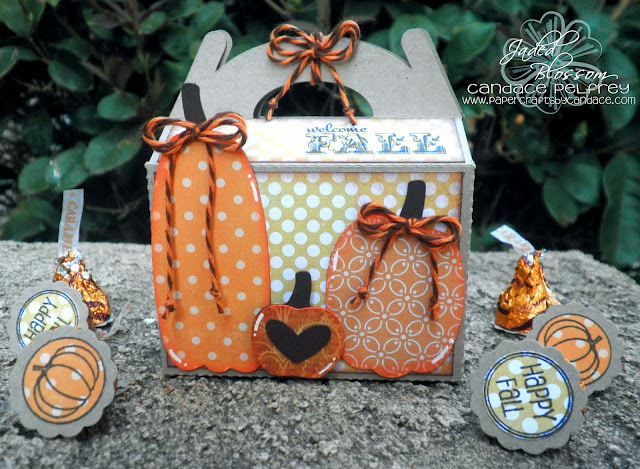 Today's card was inspired by my gable box I made for the Welcome Fall blog hop! In case you missed it, here is the gable box.. I used the same pumpkins on my Gable box but I made them larger. I created the card base by welding shapes together in the Silhouette Store. Autumn Wishes is from Jaded Blossom's "Thanksgiving Wishes"
And the twine is from Maya Road "Shine Gold" which I purchased from Trendy Twine. And all the paper is Echo Park of course!! This is so Beautiful. Love it. Great box and card, I really like your pumpkins---the card shape looks so unique!! Such an awesome card. 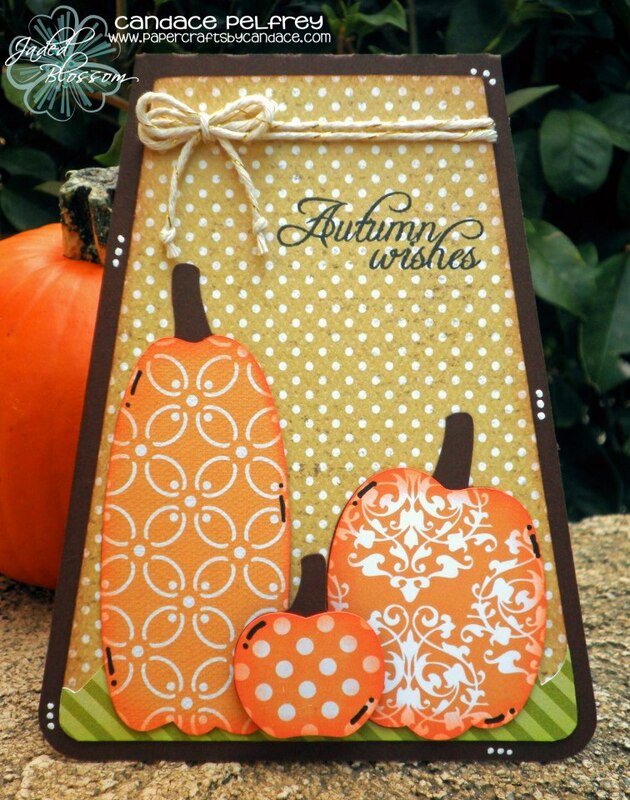 Love the shape of it and I adore the pumpkins. super pretty!!! I love the paper patterns! I love your darling fall pumpkins and cute box. Your card is so pretty. I love love your papers! Beautiful pic! Remember- Jaded Blossom Blog Hop today!